Closed for lunch from 1:30-2:30 Monday-Saturday and 1:00-1:30 Sunday. Fabulous as always. Christopher is Super! I will be back when I need it again. It was a pleasure to be your customer. 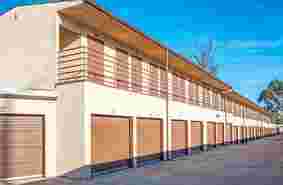 Excellent service, great people, very helpful and clean storage space at reasonable rate. Very convenient location. Never had a problem would use again in the future. Fast and easy with great website and location. Very convenient to major roads. Good service. Pleasant staff. No problems with rental. We had a 10x20 unit. Very Happy with the facility and the staff. Enjoyed working with the staff. This is by far the BEST self storage company I've used. Would recommended to anyone. Chris was great! The workers Chris and Marsha are a great team and helpful especially when times are not in my favor they really jump to the task and are absolutely great to be around. I am VERY satisfied from the manager Chris and the crew. Marsha was very professional and has a Be of service attitude. Marsha the representative that helped us went above and beyond and even stayed late to help us. I appreciate the facilities and services of Diablo Mini Storage and look forward to a future opportunity to utilize Diablo Mini Storage. Always clean and very friendly! Great spot to rent at. Thank you. Awesome staff and always helpful. Would rent a storage here again. Was a customer for 5 years. The very best customer service I have ever received in the storage business. Christopher, and his team, are always so helpful and responsive. I would highly recommend the Diablo Mini Storage experience. Never had a problem while I stored here. Thanks for everything. Thank you so much for a wonderful place to store. Great customer service, location, and hours was of great convenience. Would recommend Diablo Mini Storage to friends and family. Great place with friendly staff. Was a pleasure to deal with. Christopher has been the absolute best! This was great. friendly and clean. Amazing! Super friendly and helpful. Clean facility . Definitely reccommend. Best Self Storage I have ever had. Christopher and everyone else I've ever spoken to are very polite, patient, and helpful. The entire site is kept impeccable. The price is good for the size of unit. I want to thank Diablo Mini Storage's on site manager, Christopher, for always being a friendly person and assisting me at a time in my life when I needed it the most. The hours are reasonable, they even just extended them for their customer's convenience! The cleanliness is fabulous. The unit I'm in is a nice big unit for a great price,. I recommend this facility to everyone. Great help with finding the right size unit and setting up payments. Michael is doing an awesome job and has been very helpful. Over all, they are amazing. Very cool guys. We have been very happy with our stay so far. It's always clean when we come and you guys are very nice to work with. 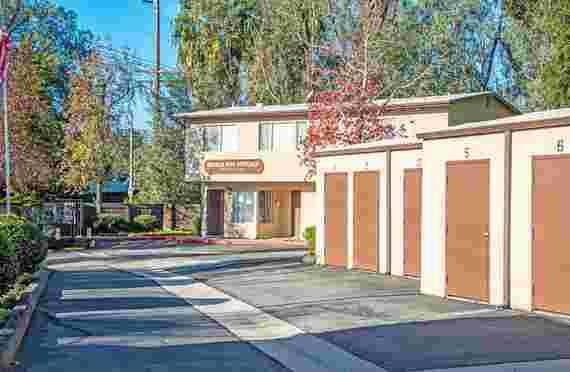 Quiet neighborhood location, unit access on ground floor, no elevator to hassle with and great Internet promo was easy on my budget as I get back on my feet. .
Never have I felt more at home while conducting business. Diablo Storage made a stressfulmove much easier with thier service. Thank you! Thx - Christopher was awesome and super helpful. So very helpful as I've been here for a LONG time. Courteous, pleasant and usually called for reminders. Awesome! All is good here! Thank you! I think this place can't be beat. The staff are wonderful, very professional. Excellent service. Couldn't ask for a better place to store your stuff. Thanks alot. This is storage at a higher level. Not just clean, but immaculate staff are friendly and live on-site so it's very secure. No dark creepy hallways or unpleasant odors. All units are accessible by walking up. Very reasonable prices, too. Ive been here since Jan 2016, convenience is great overall excellent. This is the best storage place I ever had. Great Prices!! Great Service and locations. Thank you! Very clean, well Kept and completely secure. Management is very easy to work with. A great bunch of people & security. The best there is. You guys are great. Thanks for everything. Chris found me the unit in no time. Me and my family are happy. Service was great and facility was clean and organized. I would highly recommend Diablo Mini Storage. GREAT customer service. Gentleman was super friendly and very welcoming onto of knowledgeable and informative. Excellent service. Michael found us the best deal and was fast and very nice. Thank you! Great service and low price. Thanks for everything! This was a great place and across the street from where i lived. Awesome Service! Haven't had any problems while storing here. Always an ease to get to my unit and a good size unit for the price. We were happy here, we only left because we found a place closer to our meetings. This is my 3rd Time renting and each time it has always been beyond my expectations! I do have to say that this experience has exceeded expectations with the awesome customer service from Chris F. Thank you! Diablo Storage was wonderful to work with. Price was competitive to other storage prices and service staff was always accommodating and kind. I would highly recommend storing here. Very Dependable. great job. Its always quiet ans clean. Everyone that works here have been very nice and helpful from start to finish. Thanks so much. Good service means a lot. You guys are great. I may need storage again if I do I'll be back here. This is not the first time I have rented a space from here. I will always return because of the amazing service I have always received. Thank you so very much. I am very satisfied with the staff. I Have been here 25 years and its been great. you guys are great, never any problems , i'll be sad to go..
We have used Diablo Mini Storage many times through the years. They have always been very courteous and helpful. Would definitely recommend to others. Christopher is awesome makes moving very easy and with good pricing. Fune Time and I'm very happy with Stephon - Great Customer Service! These guys are always plesant and are willing to help you! Friendly, helpful service and care - I will miss being here daily. Always very helpful with any issues that I may have had. the staff at Diablo Storage is very professional, helpful, and friendly. It is nice to do business with a place that remembers what customer service is. I have rented here for 3 separate times and the customer service is the best! Been Here 20 years. Only thing we didn't like was that they stopped the pre-pay special, otherwise we were very happy. Your service is awesome. Christopher is friendly and is great at his job! Very convenient. We're able to come in and out when we needed. Was Exactly What I thought it was going to be. Best value, Best service, Great storage place. Rented 5 years, never had an issue. I have been here forever and have always been treated well. I couldn't imagine storing my things anywhere else! Always there when you need some one. Good job. Thanks. Excellent Accessibility and friendly staff made our years here great. Thank you!!! every thing is very good here. un buen servicio. gracias, Franco. This place is great, i would come back if i need another spot. Always nice and polite people. I never had any complaints here. Safe environment. Easy access to location. I'm satisfied with this storage. Very Helpful and courteous. You guys have been very good to me. This is my go to place for storage, My third time renting storage here. Thanks. I have been here over 20 years! I have had no problems, The people have always been helpfull. I am sorry to leave.. This is our 6th unit here. The facilities and people have been super at ALL times. Thank you. They give great service plus the facility is very nice! Nice Facility. I Appreciated being able to make payments online. This is a nice facility; very convenient location; staff is friendly and helpful. Great facility. Staff is courteous and helpfull. Facility is kept spotless. 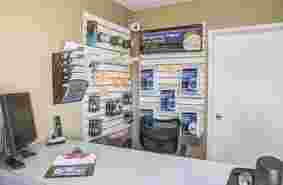 We were very satisfied with the facilities and service at Diablo Mini Storage. The staff was very helpful & courteous. Thanks again. Awesome Customer Service from Mr. Flanagan! Nice People!! Well Maintained. Love Christopher's Dog, Tazy, She's too cool! The staff is very helpful - I'm sorry to leave..
Valencia is Definitely customer focused and a pleasure to work with. Great Service. Excellent place to store your stuff. Five star rating. Chris and the Diablo crew are amazing! Great Service!!! Great Help!! Really can't say anything bad. Would I come back?? You bet! Thanks a lot. Very good service! Thank you so much for the excellent customer service that you provided my family and me. Thank you for the genuine caring! 15 yrs of happiness. Love you guys! Very clean- everything is well done. Valencia did an awesome job for my storage needs. All employees at Diablo Mini Storage do such a wonderful job especially Chad ! Most pleasant people to deal with. always there to help. The storage is very secure. And I like the autopay. Great Service Great Security Love you guys! Been here long time. Great place. Lives up to low cost and good management. Great Food here. Thanks you! Very accommodating when we had issues with our first unit on site. Very easy to work with. Great Location - Always clean. Wonderful price! Chris was very informative and patient and very accommodating to answer all questions. it was a big pleasure dealing with the nice fellas.They were always friendly,accommodating and efficient.I will miss them. Chris has ALWAYS given exceptional service! Thank you! Diablo Mini Storage is a clean place , I also like that they have a 10 day grace period. Some places only give you 5 days.... Screw That! Great Customer Service, Valencia is always pleasant and helpful. I broke my key into the lock and Chris helped me. They always go above and beyond to help me. Awsome customer service! I would recommend this storage facility to a friend! Excellent customer service! very helpful ! Everything is good here. The place is safe and clean and the staff are 5 stars. 3 good years ! the personal are the best Good location in the area and very clean. Good Job Thank You ! Great place to store my "treasures". Excellent staff & always helpful. Great employees. We never had any worries about our belongings! All of the employees are very nice. We enjoyed using this self storage very much. Great Place, clean and they take care of their customers. I've been here over 10 years. OUTSTANDING!!! Christopher is a pleasure and easy to work with. This is my 2nd time around in the past 5 years and as always I feel my items are in a safe environment. The staff seem to go the extra mile to make sure I am happy with their service. I would highly recommend them. The service here is outstanding, the office personall are more than helpful, and I feel lucky to have my storage here. I feel it is very safe, Christopher is amazing!! Very fun and respectful establishment! Seems pretty legitimate. Aside from the random people cruising through at all hours of the night. Great place. Clean, friendly people. Easy access. Diablo Minister Storage is a great place to store all things, large and small, for any length of time. Your property feels safe and secure there. 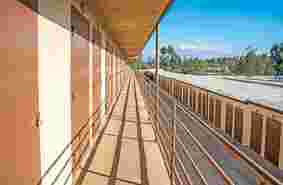 The staff is very nice and helpful, and management lives on site to help provide security. There are also heavy duty gates at the entrances with security code panels for added piece of mind. They offer theft and fire protection/insurance to help keep your valuables safe. 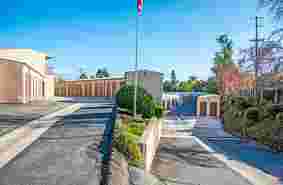 It is in a quiet, safe area of Escondido, on Avenida Del Diablo (hence the name). I would recommend Diablo Minister Storage to anybody with items that need safe, secure storing. Used this facility for two years and never had a problem. They were safe, clean, professional, and reasonably priced for the area. We stopped service with them only because of relocating out of state. Would definitely recommend them to anyone looking for a good storage facility. I've been with Diablo for many years. But when I first rented from them, there was a leak in my smaller storage unit. (Super heavy rains) Thankfully none of my stuff was ruined, but they were SO accommodating! They moved all of my things into a new and larger unit without me having to lift a finger. They also only charged me for the price of the smaller unit I had, FOR THREE MONTHS! And the new unit was over 2x the size! They have been amazing! Awesome prices, communication is great, very clean and secure environment. I recommend Diablo Mini Storage to any and everyone. Second time I have rented a space from Diablo, their prices are reasonable and customer service is top notch! Have not had any issues with their units, property is very clean, pleasure doing business with them. Highly recommend! Christopher was very kind and professional as he guided me through the rental process. I must say that this place provides great storage at an unbeatable price. The manager Christopher really takes pride in the property and takes great care of his tenants. I would refer this place to anyone looking for storage! Great customer service. Christopher was awesome. Fast & friendly. Nice facility. So close to my home & I never even knew it was there. Thanx Diablo Mini Storage for providing me with my storage needs! Whatever it is you need to store, you’ll find the perfect storage unit for you at Diablo Mini Storage. Our facility is conveniently located at 2280 Avenida Del Diablo in Escondido, CA. You’ll find us near Little Country Preschool near Green Tree Mobile Home Estates and Mountain Shadows Mobile Home. 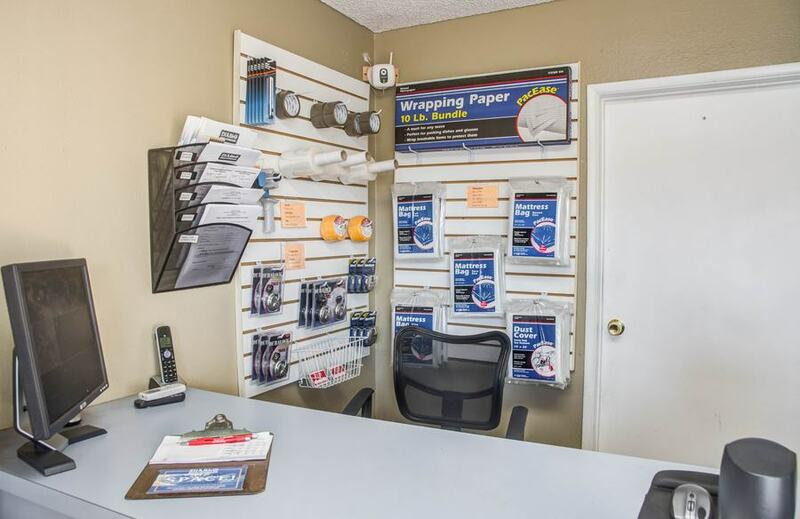 We’re close to I-15, so wherever you live or work in the Escondido area, we’re easily accessible! Come visit us! 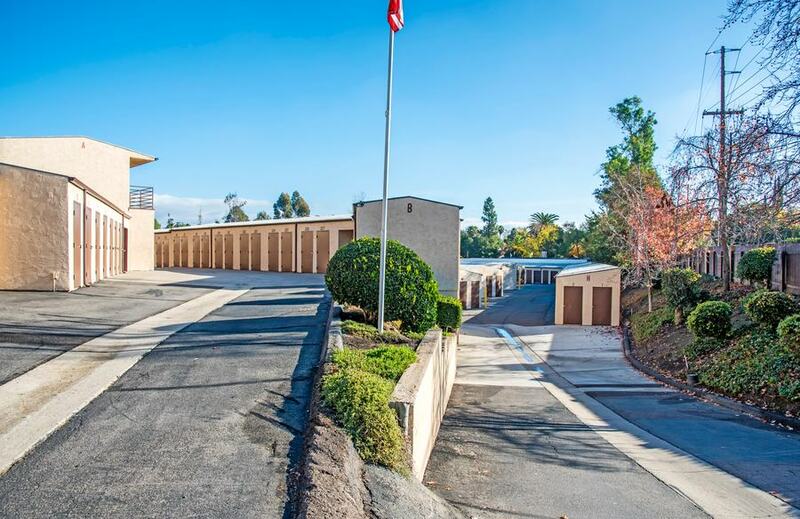 With more than 700 high-quality storage units at our facility, Diablo Self Storage is one of the most popular self storage facilities in Escondido. We go above and beyond what’s expected to ensure that each of our customers is provided with the highest quality storage units you’ll find around. We do whatever we can to make sure that your storage needs are met, and we’ve equipped our facility with a variety of features that make your storage project less of a hassle for you. 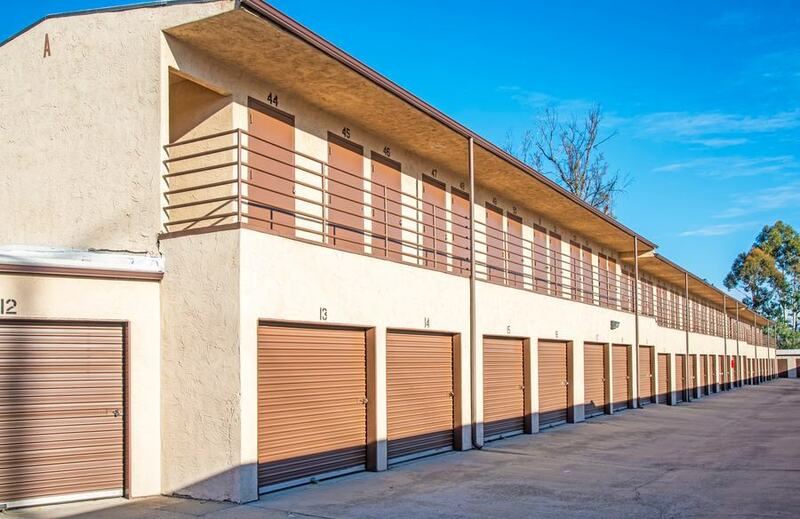 We offer drive-up access to many of our storage units, so when moving day comes, you can pull your vehicle right up to the door of your unit, helping you avoid the hassle of carrying heavy and oversized items across a parking lot. We’re eager to help you get started with your next move or storage project, so contact us today and we’ll help you reserve the perfect unit to suit your needs! SELF STORAGE MILESTONE: HAPPY 7-YEAR ANNIVERSARY TO CHRISTOPHER FLANAGAN! Here at StaxUP Storage, we know our success is due to our wonderful team. The care they give our renters is unparalleled and we want to highlight their milestones along the way. Below is an interview with Escondido, CA team member Christopher Flanagan, who is celebrating his 7-year anniversary with Diablo Mini Storage. You can ask Christopher for self storage help at Diablo Mini Storage in Escondido, CA. Colby: My first question, Chris, is what year anniversary are you celebrating this year? Christopher: I believe this is number seven. Colby: Number seven, okay, and have you always been at the Diablo location? Christopher: Yeah, I started working in between San Marcos and Diablo but I moved over to San Marcos to be full time manager over here. Colby: So what’s the best thing that you have learned in the industry, especially after making the switch to full time manager? Christopher: By far, the biggest lesson I have learned is how to treat people, and not just the customers, but the team members as well. I like creating plans and finding solutions for the people I interact with daily. Colby: Any good self storage stories that you tell people when they ask you about work? Christopher: The favorite ones that I have actually aren’t very entertaining, but they are my favorite because they show the effort that my team and I put forth to help the tenants. For example, when I do the walk through, if I find a unit that is unlocked, I’ll rush back up to the office and call the tenant right away, and they are always appreciative and grateful that we checked properly and notified them right away. It’s nice to know the trust is not misplaced. Colby: Outside of work, what are some of the hobbies you enjoy doing when you’re not at the facility? Christopher: On my days off, I enjoy woodworking. I do a good bit of that, though I haven’t done it in a while. I like autocross racing in my car. I try to get out and golf once a week, and I am also a volunteer with the city of Escondido, as an emergency responder, but I want to get a few more certifications in that though. Colby: Oh very cool, very cool. Where do you go golfing at? Christopher: Oh wherever I can really. My main course is at the Welk, the executive course. But also Reidy Creek, and Boulder Oaks. Whatever is local around here. You could probably go to a different course everyday out of the year and not repeat any. Colby: Wow. What is your favorite restaurant in the area? Any local places you like to frequent? Christopher: I am more of a cook at home kind of guy. I cook almost every night, but if I really had to pick a restaurant I would pick Vintana. They are really good. They are on top of a Lexus dealership. It’s pretty unique. Christopher: Get out and explore. Escondido has a lot to offer but some of it is tucked away. We have a weekly car show in the spring/summer called Cruisin’ Grand. We have the San Diego Zoo Safari Park, and of course, tons of hiking. Just get out there. Colby: Well, last question, is there anybody you would like to give a shout out to in celebration of year 7? Christopher: Oh, absolutely. On the work side, I have a huge amount of appreciation for Chad Hunt and Brandi Fleming. They are always available for me to pick their brains, and the same goes for me. I would also like to thank the home office especially Don, Randy, and Julie. On a more personal note, I would love to thank my family. The job requires a fair amount of flexibility and they have always supported me in that.